Ever since it was unveiled three years ago in Frankfurt, the Opel Monza Concept has been the subject of several reports about it being transformed into either a RWD coupe or a flagship SUV. 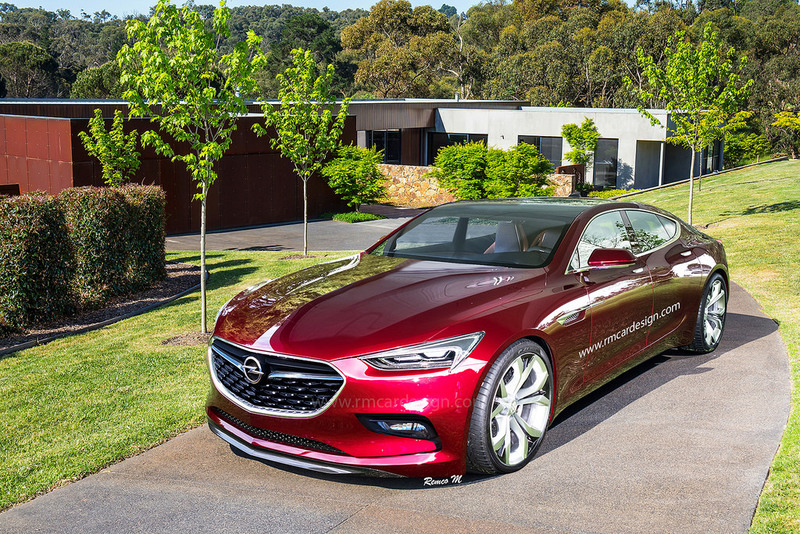 Today, the GM-owned brand seems to have forgotten all about their appealing study, which has been eclipsed by the new GT concept, but RemcoM reminds enthusiasts how important would a production version of the Monza be for Opel, Buick and Holden, especially in a saloon body style, with a fresh rendering. Having the prototype finished in dark red and carrying an entirely new front fascia, different wheels, side mirrors, and a sloping roofline that sits right above the regular doors, the artist has transformed the Monza Concept into a vehicle that seems just about ready to tackle the big boys of the segment, including the Mercedes-Benz CLS, which is bound to gain a replacement soon, and the BMW 6-Series Gran Coupe. With all the details pointing towards and SUV offensive led by the refreshed Mokka X, which could eventually see up to five different Opel/Vauxhall high-riding models that should ensure the automaker with the necessary arms to cover the increased demand in such vehicles, it’s probably safe to say that a production version of the Monza study isn’t anywhere in sight, at least not in this decade.